The easiest joke to make about IKEA is that few of its products—from shelves to meatballs—are made from what they seem. But even particleboard still requires wood—and a lot of it, when you’re selling 100 million products every year. 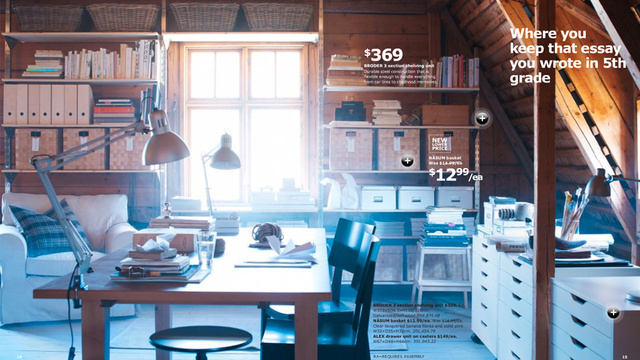 According to Pacific Standard, IKEA uses almost one percent of the world’s commercial wood supply. That’s 17.8 million cubic yards, or 3.2 million cubic miles .00326499108 cubic miles. Plenty of critics would argue that IKEA is unnecessarily depleting the world's forests, given the short half-life of most of its products. To its credit, though, IKEA seems pretty committed to sourcing its materials sustainably; 25 percent of its wood is certified by the Forest Stewardship Council, which ensures that the wood is legally and sustainably sourced (the goal is to increase that figure to 50 percent within the next five years).